If you shut the school down, you inflict a gaping wound on those families. If you don’t, you condemn the next generation to the same fate as the last. Dugsi Academy, located in St. Paul, is one such school. The families of its 300 elementary and middle school students are all refugees displaced by the decades-long war in their native Somalia. When they first enroll, many have never been to a school or had a formal lesson. Some were born here and some have been here for mere weeks. Many made the trip from refugee camps where food and other resources are scarce and the future uncertain. The majority arrive at the school speaking little to no English. Families seeking permanent homes come and go midyear. All struggle to adjust to a new country where their religion, Islam, is often demonized. Somali culture exalts education; indeed, the Somali word for school, dugsi, means a place where children are educated, sheltered and nurtured by teachers who play a parental role. To its community, Dugsi Academy lived up to this definition. Academically, however, 11 years after it opened in 2005, Dugsi Academy was one of the lowest-performing schools in the state. In 2016, just 7 percent of students passed state reading tests and fewer than 6 percent passed math. Still, abysmal as those numbers were, they didn’t mean much to Dugsi’s families, many of whom didn’t understand that children this far behind wouldn’t succeed in high school and beyond. As a public charter school, Dugsi is accountable to its authorizer, which grants it permission to operate and is responsible for ensuring that it meets performance goals. After the 2016 test scores came in, the school’s nonprofit authorizer, Pillsbury United Communities, staged an intervention. The school had 12 months to turn itself around, or Pillsbury would revoke its permission to operate. And there was one condition: Dugsi’s board of directors had to accept outside help. Enter Mary Stafford. The ranks of those who specialize in top-to-bottom school overhauls are thin, and common wisdom is that in order for the reboots to succeed, all or most of a school’s leaders and staff must be replaced. But Stafford, a school turnaround veteran, had come to believe that starting over with a new set of educators drives families away. A school might be reborn with much higher performance, but it was likely to deliver those good academics to a different set of children. Stafford took the reins in July 2017 with the ambitious goal of seeing Dugsi’s students make up years of learning lost either because of their families’ refugee status or because of the school’s lackluster performance. A year and a half into what she jokingly calls “Extreme Makeover: The School Edition,” enrollment is up and 80 percent of the staff are employees who either made the transition to Stafford’s leadership or had left the school and were lured back. The Dugsi community quickly sprinted past its initial academic goal of boosting the number of students making more than a year’s progress in an academic year. Because many are years behind, however, students will need to grow academically even more quickly if they are to graduate from eighth grade ready for high school. So far, signs are promising that it could happen. Halfway through the second academic year of the turnaround, the number of students who are two or more years behind in math and reading has fallen significantly. In elementary grades, the percentage of students scoring above grade level or at low risk of failing end-of-year assessments this year rose from 47 to 71. In reading, the percentage predicted to pass went from 28 to 62. In middle school, all students have made significantly more than a year’s growth in both years of the turnaround, with eighth grade so far this year posting a collective 150 percent. Also noteworthy: The proportion of English learners on track to meet state goals meets the state average. As a result, the school has been granted permission to operate through June 2021. Assuming the progress continues apace, Dugsi’s experience might hold some lessons for educators and policymakers who study school improvement strategies. If a standalone school serving students with multiple challenges and a distinct culture can make such a dramatic change, what might be possible at other struggling schools? School turnarounds are notoriously difficult, whether the school in question is a charter or part of a traditional district. Two-plus decades of efforts have yielded evidence about necessary elements, but no reliable formulas. In 2009, the Obama administration pumped $3.5 billion into a plan to overhaul the nation’s poorest-performing schools, to mixed results. In the rare success stories, researchers have attempted to determine what went right, only to conclude that different strategies have worked in different places for idiosyncratic reasons. From replacing leaders or staff to turning a school over to a successful charter network, nothing has worked consistently. Sometimes when measures of academic success go up, it’s with a different student body. By the time she came to the attention of Dugsi’s leaders, Stafford had spent more than two decades starting schools and restarting struggling ones, most recently in Chicago with the nonprofit Distinctive Schools. She had just moved back to her native Minnesota and opened a small school improvement consulting firm, True North, when Dugsi’s charter authorizer delivered its ultimatum. Pillsbury recommended that Dugsi’s Somali-dominated board engage a small consulting firm, the School Leadership Project, to help a committee solicit and screen proposals from groups interested in leading a turnaround. Representatives from the school held interviews and toured schools run by the groups they were most interested in. “We chose Miss Mary [because] she would not do anything less, but to add,” said Ahmednur. “The community will stay, the name will stay, the school will function as a community school. 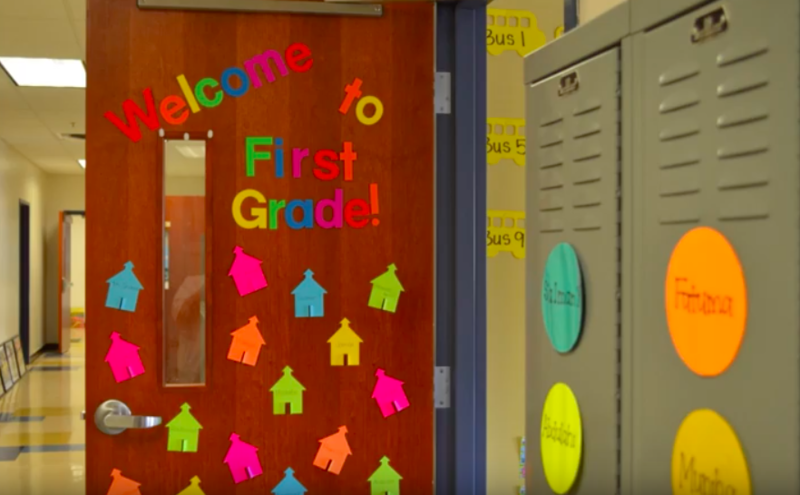 Indeed, the school’s commitment to finding ways make traumatized students feel safe prompted TPT, Minnesota’s PBS affiliate, to feature the school in a recent documentary, Whole People (the portion about Dugsi starts around 16:10). The presence in the school of so many people who understand students’ trauma and are committed to keeping children connected to their native culture serves as a protective factor. Turnaround contract inked, Stafford spent the summer of 2017 visiting families in their homes and meeting with teachers. Instead of cleaning house — something many turnaround agents believe must happen to allow a new culture to grow — she held individual conversations with every adult at Dugsi to lay out the scope of the challenges to come and arrive at what she described as a mutual decision on whether staying would be a good fit. The makeover was needed at two levels. The school building was a mess, with graffiti on the walls, holes in the drywall and closets packed with unused supplies and learning materials. And, the adults in the building needed a motivational boost. Stafford treated the school’s physical overhaul as a team-building exercise. For a solid month before students arrived in 2017, she and the staff alternated between painting and replacing every surface in the school, and engaging in intensive training in personalized learning — a strategy Stafford believed would enable Dugsi’s teachers to tailor lessons to each child. “We have kids who came here two months ago and have never held a pencil, and kids born here who are high achievers,” she explained. To help newcomers catch up fast, Stafford devised a schedule offering 90 minutes of literacy and an hour of math each day, plus time for individual lessons to address skills gaps. She sent four teachers to learn new math instruction techniques. She found an online, self-paced curriculum that can be used in numerous languages, including Somali, called Imagine Learning. Stafford tried to make the work fun. On long days, she persuaded drivers of food trucks to visit the school, which is located in an isolated industrial strip. Another challenge, and a surprising bonus, was found in Dugsi’s financials. Stafford was able to tap surplus reserves to hire a “dream team” for the first year of the turnround that included experts in personalized learning, school culture and use of classroom data. In addition to helping to implement the new strategies, they passed their expertise on to the rest of the staff. Some of the cash in the rainy-day fund had come from substandard teacher salaries. Many talented but underpaid educators had quit, further demoralizing those who stayed. The school’s past leaders didn’t track turnover, but an annual exodus of frustrated teachers was the school’s biggest issue, in the opinion of Sam Pfeifer, a sixth-grade social studies teacher who left and came back before Stafford’s makeover began. Stafford tracked down and lured back a number of those who had left, emphasizing the focus on personalized learning, and boosted pay for licensed teachers to a competitive level, using a survey of salaries at other local schools. Non-credentialed staff got more modest raises. Kindergarten teacher Joanna SanCartier is one of those who came back after hearing about Dugsi’s renewed vision. 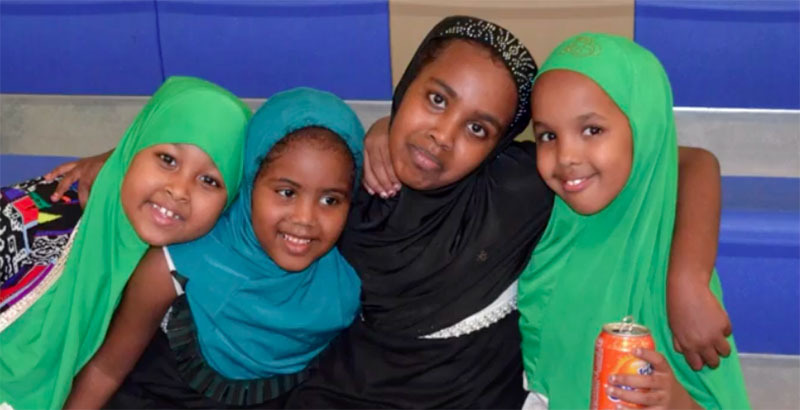 Under past leadership, she said, staff often found themselves in a tug-of-war over which culture — Somali or U.S. — would shape what happened in the school. But now, SanCartier was drawn by school leaders’ commitment to fostering cross-cultural understanding and compromise. “Our school model incorporates culture into what we teach,” she explained. “But we’re also bringing in new ways” to prepare kids for mainstream U.S. schools. Stafford staggered staff schedules to create a longer school day and make up for afterschool programming she couldn’t afford. And, she hired Pfeifer to work alongside her as a principal-in-residence. He took over full responsibility for the school in the fall of 2018. Staff surveys show high teacher confidence in areas ranging from peer culture to planning for student growth. Equally exciting to Stafford: Not only was she able to recruit back or retain 80 percent of teachers, but once word of mouth about the changes during the first year of the turnaround got out, she had an unusually strong applicant pool for year two. Some are Somali — a rarity in a state where 96 percent of teachers are white. One big change from year one to year two of the turnaround is a focus on multilingualism as an asset. Minnesota has a unique law designed to encourage schools to see the native languages of English learners as assets to be celebrated and preserved. Students who meet the goals earn bilingual seals on their diplomas. 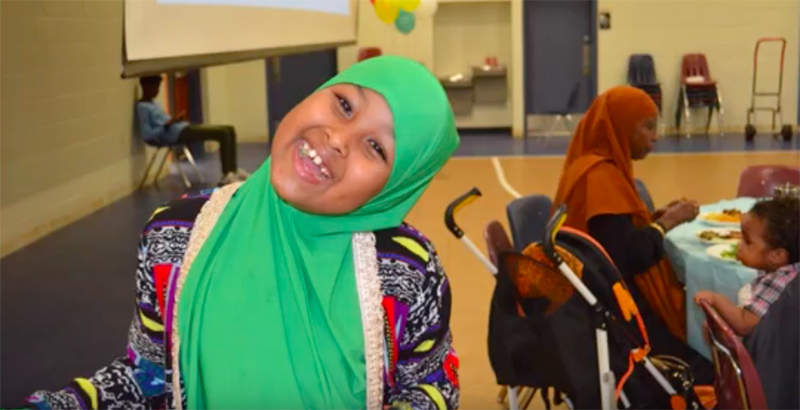 Realizing that a linguistic gap was opening between Dugis’s Somali-speaking parents and their English-speaking kids, Stafford this year began using the goals in the law to organize intensive parent engagement. Families come to the school for math nights, for example, where parents and children together engage in projects designed to build math skills for both. The school has also developed a 16-week course to train parents to teach their children to read in Somali. The cheapest part of the extreme makeover is the first thing visitors to Dugsi see. 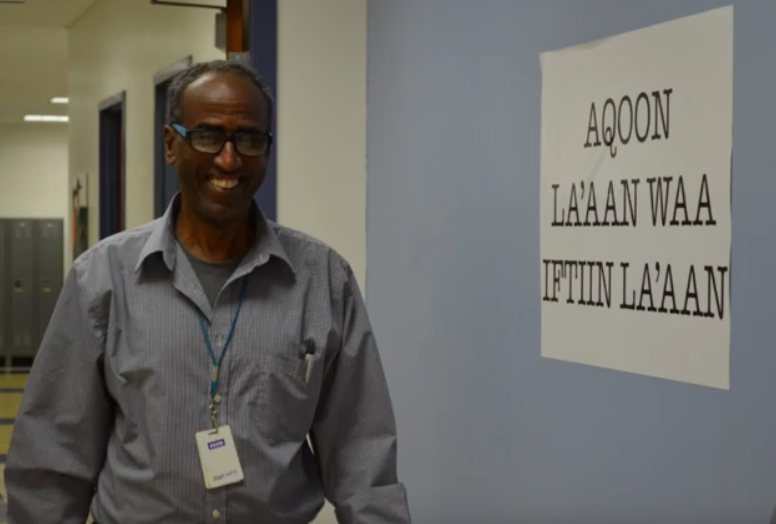 The Somali Museum of Minnesota provided Stafford with prints of paintings by Somali artist Aziz Osman that now hang on freshly painted walls, next to maps, flags and photos of Somalia, and a rendering of the school mascot, the cheetah. The proverb she heard at that first committee meeting is stenciled on surfaces throughout the building: Aqoon La’aan Waa Iftiin La’aan — the absence of education is the absence of light. At the start of the makeover, the goal spelled out in Stafford’s contract with the board was 65 percent of students on track to make a year’s progress in reading and 45 percent in math. Four months in, 83 percent of students had grown a year or more in reading and 61 percent in math on a test administered periodically to track progress toward passage of the required state year-end exams. This year, the number of elementary students performing above grade level has risen dramatically in every grade, with some elementary classes boasting 20 to 30 percent of students exceeding expectations. While 2018 scores on statewide assessments were still low, for the first time in recent memory, Dugsi was not among the lowest-performing 5 percent of schools in the state. More than 90 percent of families participate in parent-teacher conferences. Suspensions have plummeted. And everyone in the building, adult and child, has a personalized plan for growth. As a senior researcher and education policy chair at the RAND Corp., Rebecca Herman has studied school turnarounds for more than 20 years. Quick wins like the ones at Dugsi are always a goal in a school reboot, she said, not least to buoy staff and families for the harder, incremental work that will inevitably follow. “You have to do something to jolt people out of complacency,” she said. Strong leadership is a crucial element of a successful turnaround, as is setting and maintaining high goals, said Herman. Intensive teacher training can also play a major role, and Stafford and Pfeifer will need good information about individual teachers’ strengths and weaknesses, she said. Stafford is likely to find some strong mentors among the faculty, and possibly some who won’t cut it. “If you want to turn around in one to three years, you have to make some hard decisions,” said Herman. Dugsi’s staff would need to learn to use data and prioritize making sure kids learn English as quickly as possible, she added, because by third grade, students frequently begin missing out on academic content if they aren’t yet fully bilingual. In theory, the flexibility that allows charter schools to be nimble in making changes could make a turnaround’s success more likely. But while improvement strategies in traditional district schools are much studied, there isn’t much research on charter school turnarounds, said Todd Ziebarth, senior vice president for state advocacy and support for the National Alliance for Public Charter Schools. Mastery Schools has had success with turnarounds in Philadelphia and Camden, New Jersey, he noted. And there are organic success stories, such as Denver Public Schools’ decision to ask a small charter school operator to take over a failing campus. Leaders of Denver’s University Prep spent an entire year getting to know the teachers and families in the school before it took over, enabling rapid growth right out of the gate. But research released by Stanford University’s CREDO center last year found that charter turnaround models implemented in New Orleans, Memphis and Nashville did not necessarily lead to better outcomes for students. Wholesale school restarts, in which all or most of the faculty changes, were somewhat more successful. Often, it takes a charter authorizer or a local association to get a school community to grapple with evidence that’s been hiding in plain sight, said Antonio Cardona, director of the Office of Public Charter Schools at Pillsbury United Communities. His organization, he said, has had practice simultaneously delivering bad news and offering a lifeline. Confronted with similar data, another public charter school in Pillsbury’s portfolio underwent a process like Dugsi’s and hired Stafford to lead an overhaul. Will the strategies that seem to be working at Dugsi transfer wholesale to Loveworks Academy? Not a chance, said Stafford. There were be bits and pieces, of course, but that turnaround, too, started with what the school community valued most.